Your vinyl collection is a delicate representation of you, your character and your personality. 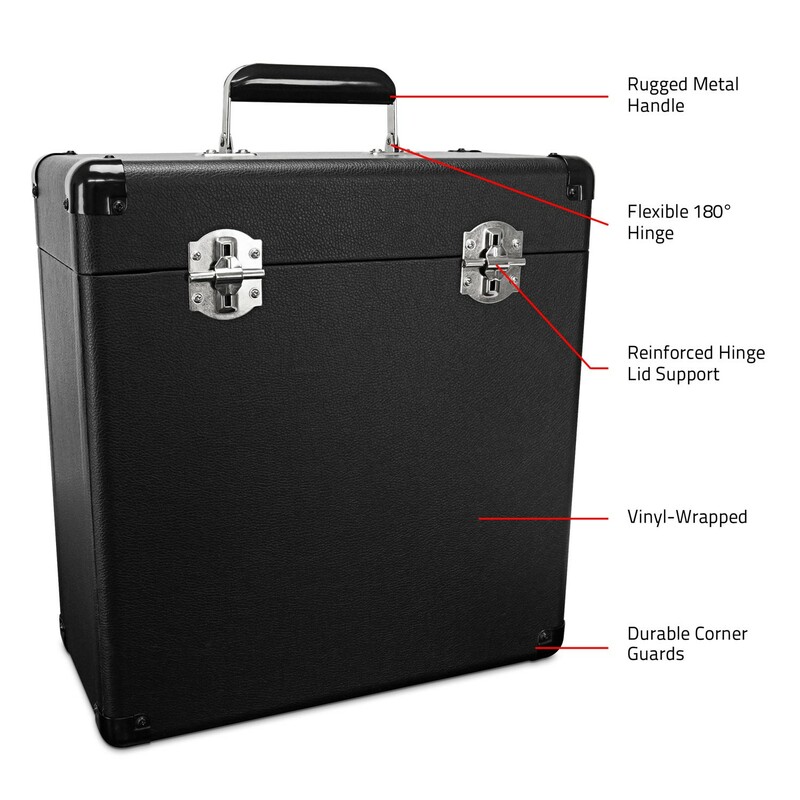 Protect it on the go with the RT10 Vinyl Record Carrying Case. Say goodbye to milk crates. You can conveniently transport up to 30 records of all sizes in style. 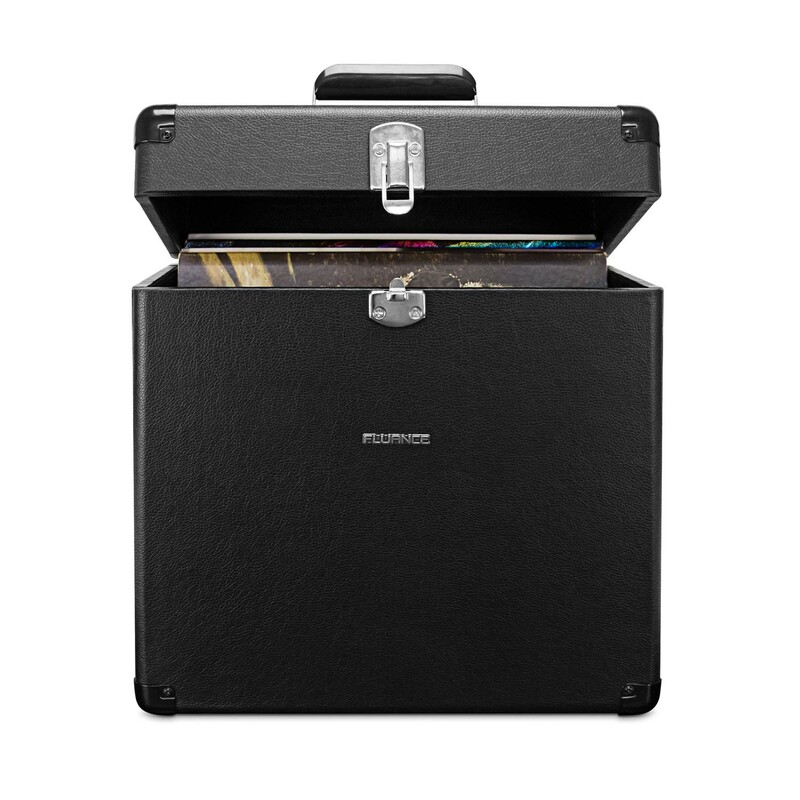 The Fluance Vinyl Record Carrying Case is more than just a practical possession: It's also stylish. Carrying your LPs becomes effortlessly chic thanks to a simple and sleek design that calls on the style of the 1960s. 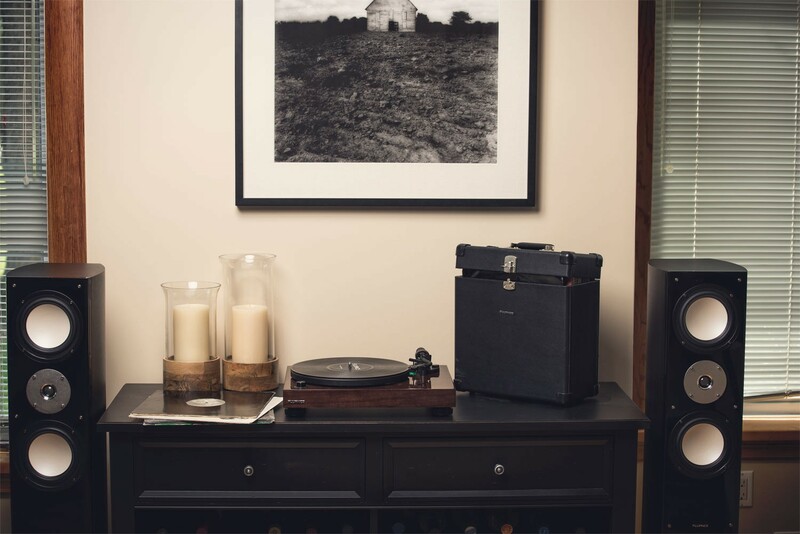 Whether the vinyl case is placed next to an original, mid-century record player or a contemporary stereo, it will pair beautifully. 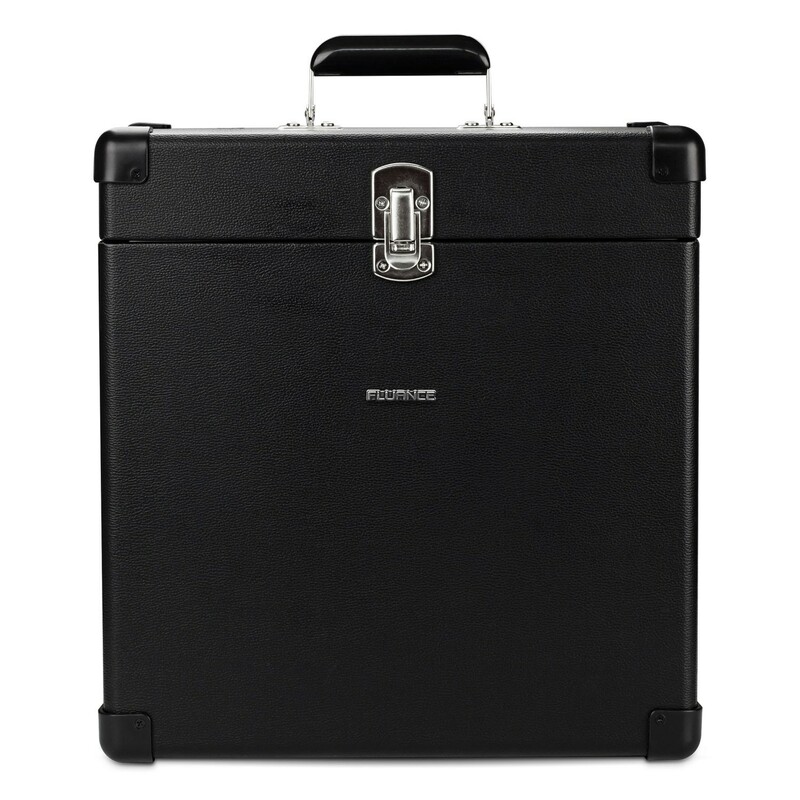 The case boasts a black vinyl finish with metallic hardware to give it an elegant look. Safely store up to 30 of your cherished records whether at home or on the go. Set it down next to your record player, pop open the lid and browse through the neatly organized albums. When you set off for your next destination, simply clip the solid metal latch back on and take your vinyl to go. 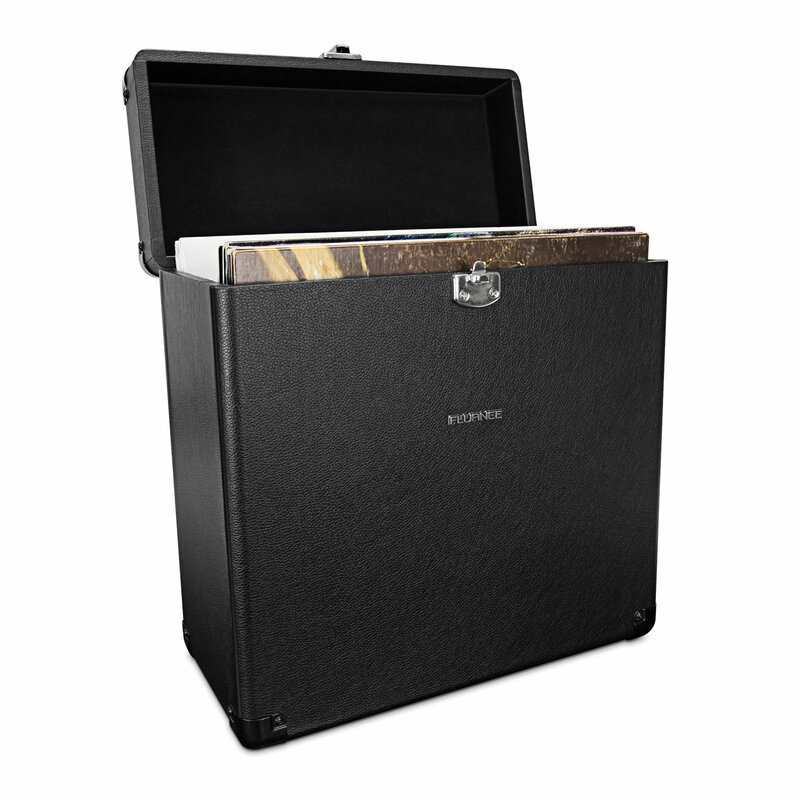 Protect your precious records from dust, humidity, and physical damage with a heavy-duty case built to last. The body itself is made of tough MDF-grade wood (measures 13.75” x 6.75” x 15.5”). Even better, there are reinforced corner guards to protect your valuable albums from damage as corners are often the first part of a carrying case to wear. This handle holds strong even when the case is full. Have some peace of mind knowing you don't have to worry about travelling with your favorite records. I am very excited to use this while traveling. Looks great! Looks great! Cannot wait to travel with it. The shipping was fast, and the packaging was great. It stores alot of my records and keeps them safe. I don't have much space so I really needed this. The case is made from very good quality materials and the craftmanship is immaculate! Rest assured, my records are safe in this case! Great little case. Use it to transport records around. Also looks great in my listening room. Very nice indeed. Heavy duty case. Well packaged. Very well made with quality parts. A little to big but I am sure it will work just fine. Looks great just like the picture. Built very like they used to do 50 years ago. I love it!